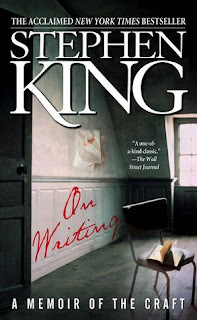 Stephen King has written many great books, so when I found out that he had written a book titled On Writing, A Memoir of the Craft, I had to give it a read. 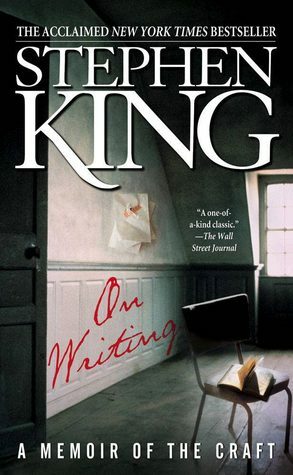 “Long live the King” hailed Entertainment Weekly upon the publication of Stephen King's On Writing. Part memoir, part master class by one of the bestselling authors of all time, this superb volume is a revealing and practical view of the writer's craft, comprising the basic tools of the trade every writer must have. King's advice is grounded in his vivid memories from childhood through his emergence as a writer, from his struggling early career to his widely reported near-fatal accident in 1999—and how the inextricable link between writing and living spurred his recovery. Brilliantly structured, friendly and inspiring, On Writing will empower and entertain everyone who reads it—fans, writers, and anyone who loves a great story well told. The book is basically broken up into three parts. The first covers maybe 40% of the book and is about his life, the struggles he had early in life, which wasn't an easy one, and his rise to success. It was a fabulous read. He is so brutally honest about his life, his faults, and successes. The next part, maybe 40% again, is about writing. It is not only filled with hints and tips about the art of writing itself but also how he has set up his physical creative space, the room in which he writes. I really envied his desk! It was very interesting when he explained how/where he pulled out the some of the ideas for scenes in his books or where he may have got an idea or inspiration for a complete book. He writes in the same manner I think most fiction writers do, myself included, in that he has a story idea, but no story board or planned plot. He lets the story write itself. When you write a story, you're telling yourself the story. When you rewrite, your main job is taking out all of the things that are not the story. Paragraphs are the beat of a book. The last part of the book is about the actual writing of this book, the accident he had while writing it, and how the two are tied so well together, that the story is better than most fictions. This is a great book that any Stephen King fan or up and coming writer, should read.